PLEASE NOTE THE PRICE IS FOR ENTIRE LOFT. FEEL FREE TO INQUIRE IF YOU WOULD LIKE TO RENT A ROOM IN THE LOFT ONLY. 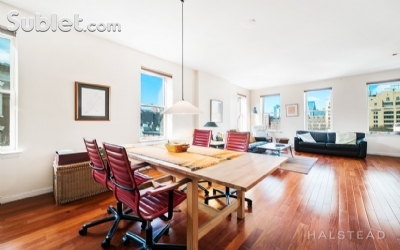 If you want to be close to downtown Manhattan but still have a home feeling, this amazing 800 sq.feet loft in Brooklyn Heights is perfect for you! 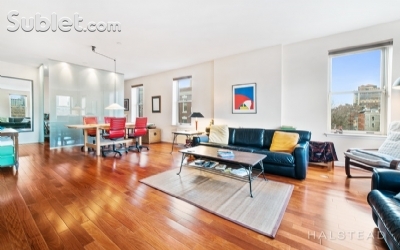 It is 2 blocks from 2 different subway lines - 1 stop (4 minutes) to Manhattan downtown! all the light you can have! It also has all the topnotch appliances in NEW condition. Contact for more details. PREFERENCE WILL BE GIVEN FOR SUMMER MONTHS. Short term duration only: 1-6 months.